A.P.C is a luxury-priced men's & women's clothing store — primarily featuring classic casual wear. ShopSleuth found 104 men's & women's clothing stores similar to A.P.C, out of our database of 45,744 total stores. The following stores offer the closest match to A.P.C based on our proprietary matching algorithm. Submit your vote below to help us refine our Similarity Scores and rank the stores and brands most like A.P.C! Tractor Supply is the largest operator of rural lifestyle retail stores in the USA. Tractor Supply offers farmers and homeowners quality products including, feed, fencing, mowers, tools, and more. Goruck is a military-grade gear and team-based adventure events company. It offers military-grade gear tough enough for Special Forces and built for adventure-seekers worldwide. Next Level Apparel is a retailer for men's, women's and youth apparel. Next Level Apparel utilizes innovative fabrics and current styles for superior designs. Mitchell And Ness is a brand created by two sportsmen that creates jerseys and headwear for NBA, NFL, NHL and NCAA . Mitchell And Ness has the rights to reproduce authentic Michael Jordan jerseys. Monag is a wholesale children's and adult apparel retailer. Monag offers quality fashion for infants, toddlers, children and adults, as well as premium quality blankets. Lucky Brand knows jeans are much more than just denim and grommets. Lucky Brand, with their distinct weathered look, provides men and women with quality jeans that are true American icons. Joe's Jeans is chic and stylish denim. Joe's Jeans offers a lifestyle denim collection for men, women and kids and remains a leader in the premium denim market. Fans Edge is a one stop shop for sports memorabilia, apparel and headwear. Fans Edge carries more than 1,000,000 products officially licensed by the NFL, MLB, NBA, NHL, NCAA, and NASCAR. Fossil has been a world-class retailer since 1984 for moderately priced watches and accessories. Fossil prides itself on its American vintage inspiration and has over 400 retail locations worldwide. Splendid is an apparel retailer that lives in color. Offering clothing for men, women and kids, Splendid set out to design the perfect t-shirt and in the process created a full line of fun and style. Sundance is a catalog based retailer founded by famed actor Robert Redford. Sundance offers an eclectic mix of women's clothing, jewelry, accessories, and home décor. 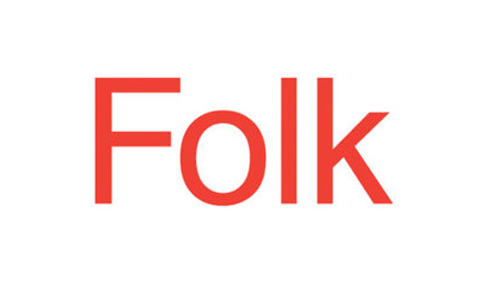 Folk is a contemporary clothing retailer for men and women. Specializing in contemporary casualwear, the collections include simple everyday clothing with subtle, innovative and playful detailing. A.P.C offers high-end basics and neutral apparel for men and women. In addition to apparel, A.P.C sells one-of-kind gifts and quilts inspired by independent artists worldwide.